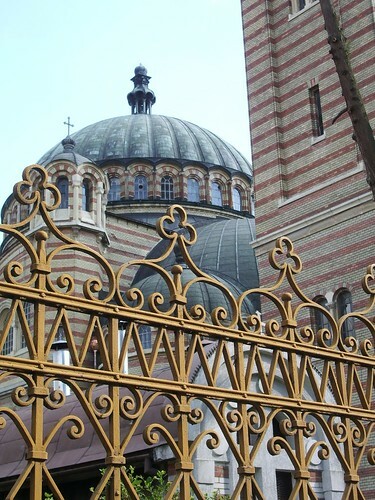 Over the road from the Orthodox Cathedral is the Orthodox Seminary. 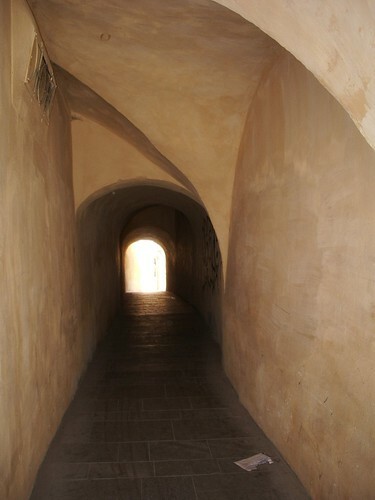 Sibiu is one of the main centres of Orthodox theological training in Romania. Normal hoi-polloi like me aren’t allowed in as far as I know, but there is an entrance hall covered in frescoes where we were allowed to go. 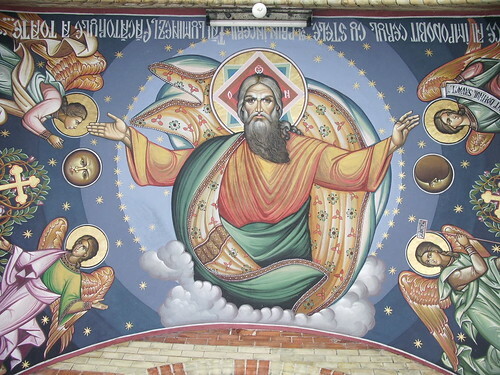 I’ll show some more frescoes over the next few days. 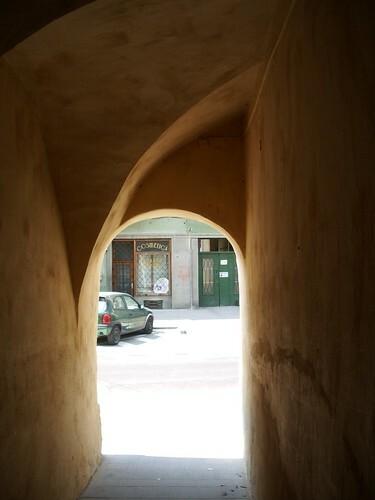 This is a different view of the Orthodox Cathedral on Str. Mitropoliei. I quite like it with this fence in the foreground. 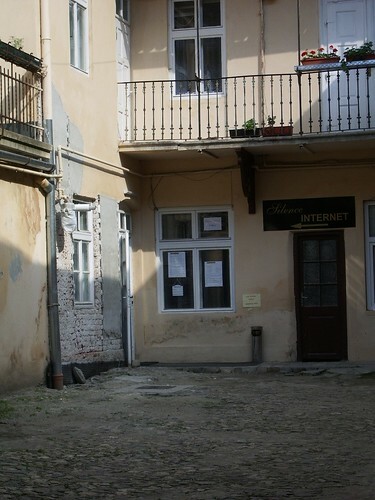 Not the most riveting photo today, but I wanted to give a plug to the wonderful Silence Internet Cafe on Str. Mitropoliei, which was my second home – I spent time here pretty much every day keeping in touch with loved ones back home and keeping connected although I was so far away. It was a bit surreal getting regular emails from friends in Glasgow saying “It’s raining AGAIN” while I was sweltering in 40+ degree heat! Anyway, hooray for Silence Internet Cafe, which played such a major role in maintaining my sanity! 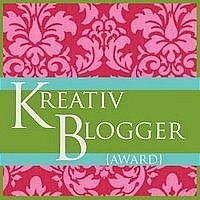 In other news, m_m from Nowy Sacz Daily Photo very kindly awarded me a Kreativ Blogger award. 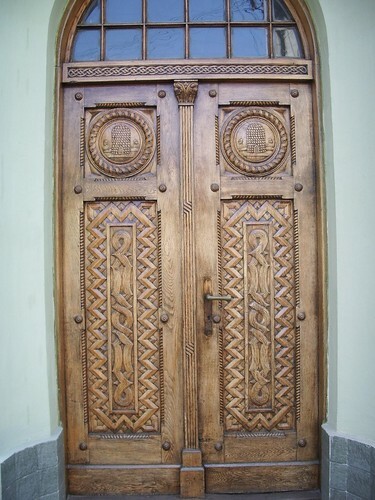 Intricately carved wooden doors and gates are really common in Transylvania, especially in Hungarian villages, but you also see them in the cities too. 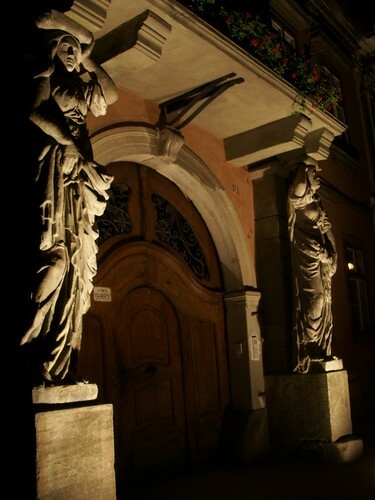 These doors are the entrance to the main post office (closed because this was taken on a Sunday evening!) on Str. Mitropoliei, on the same side of the road as yesterday’s flags. This is in Str. Mitropoliei. 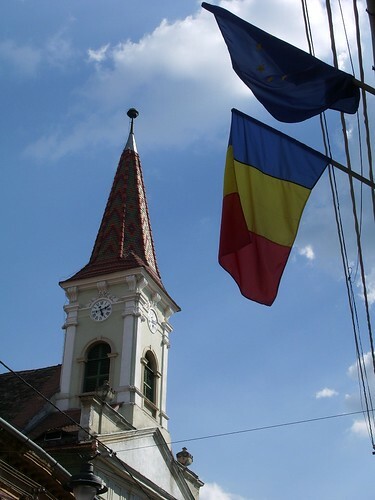 I liked the juxtaposition of the flags on one side of the road (EU and Romanian flags) and the lovely church spire on the other side. The church is Hungarian, a reformed church. A bit further down the road is the Orthodox Cathedral, which I’ve shown before and which will feature again later in the week.